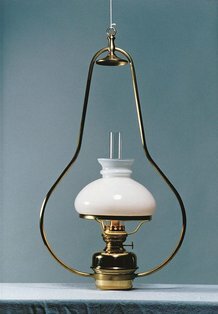 A hanging oil lamp extends twilight into warmly lit evenings in any room of your home, lodge, cabin, porch or patio. 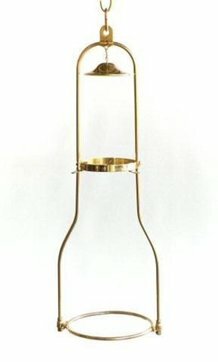 Unlike other oil lamps, hanging models don't need a table or shelf - just hang them where you need them! 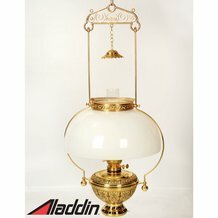 Traditionally hung over the kitchen table, hanging lamps were often the first lamps lit each evening. 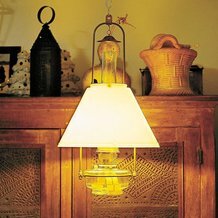 Today they are some of our most popular lamps because they cast a warm glow to all areas of the room. 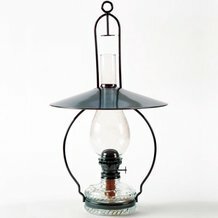 Give your home a truly old-fashioned look, save on your electric bill and have lots of light when the power goes out - all with a beautiful and practical hanging oil lamp.